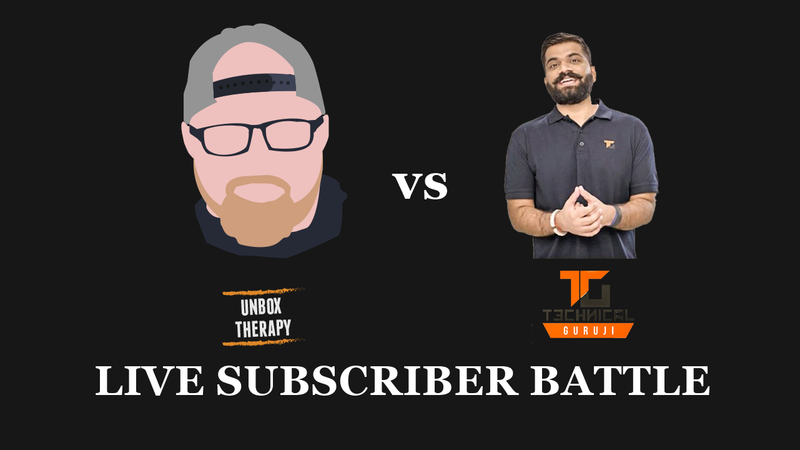 On on side, YouTube's most subscribed channel PewDiePie is about to be dethroned by Indian record label T-Series, according to their live count on SocialBlade and on another side, there is an immense competitive battle is going on between Unbox Therapy and Technical Guruji. Both channels have Diamond play button from YouTube which is given to channels with 10 million+ subscribers. Indians are stepping into the world of YouTube very fast and there are many upcoming YouTubers from the nation who will give hand-to-hand competition to several other YouTubers across the globe. Lewis Helienstger (Unbox Therapy) is one of the most successful tech You-tuber out there, having more than 12M+ subscribers. He started his career as computer servicing and repairing Apple products, iPhones being one of them. He is the YouTuber that proved the infamous Apple bend gate (bending of iPhone 6s plus). He gives unbiased and honest reviews without advertising any products. He collects in-depth knowledge of the product before making a video and makes sure he delivers the right information to people helping them make the right purchase decision. Gaurav Chaudhary, known professionally as Technical Guruji, is an Indian YouTuber, media personality, and engineer. Chaudhary is notable for producing YouTube videos concerning technology in Hindi. As of March 2019, Gaurav Chaudhary and the Technical Guruji channel has acquired over 12M+ subscribers on the platform.